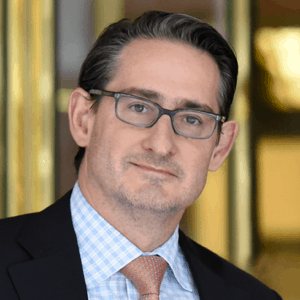 MSCI Completes Acquisition of GMI Ratings - Berkery, Noyes & Co., LLC. 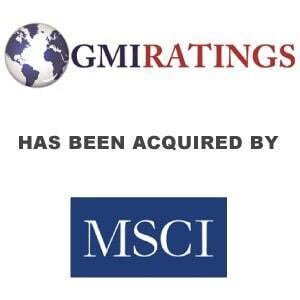 NEW YORK, Aug 12, 2014 (BUSINESS WIRE) — MSCI Inc., a leading provider of investment decision support tools worldwide, announced today that it has completed the acquisition of GMI Ratings through its subsidiary MSCI ESG Research Inc.
GMI Ratings is a provider of corporate governance research and ratings on over 6,000 companies worldwide. Clients of GMI Ratings include leading institutional investors, banks, insurers, auditors, regulators and corporations seeking to incorporate environmental, social and governance (ESG) factors into risk assessment and decision-making. GMI Ratings was formed in 2010 through the merger of GovernanceMetrics International, The Corporate Library and Audit Integrity. The company’s flagship product offerings are: the MSCI indexes with over USD 9 trillion estimated to be benchmarked to them on a worldwide basis1; Barra multi-asset class factor models and portfolio risk and performance analytics; RiskMetrics multi-asset class market and credit risk analytics; IPD real estate information, indexes and analytics; MSCI ESG Research screening, analysis and ratings; and FEA energy and commodities valuation models and risk management software. MSCI is headquartered in New York, with research and commercial offices around the world. 1As of March 31, 2014, as reported on June 25, 2014, by eVestment, Lipper and Bloomberg. MSCI ESG Research Inc.’s products and services are designed to provide in-depth research, ratings and analysis of environmental, social and governance-related business practices to companies worldwide. Ratings and data from MSCI ESG Research Inc. are also used in the construction of the MSCI ESG Indexes. MSCI ESG Research Inc. is a Registered Investment Adviser under the Investment Advisers Act of 1940. MSCI Inc. is a signatory to the United Nations-backed Principles for Responsible Investment (PRI).